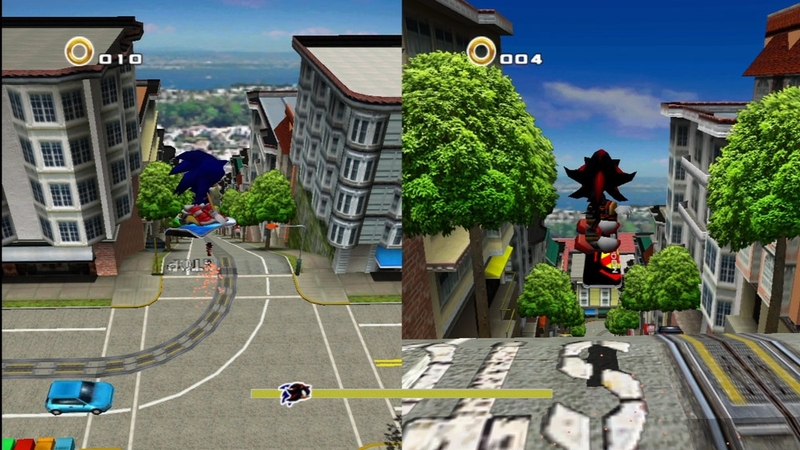 God, I really really hope we can transfer our Chao from the SA1 port! No online two player? That’s disappointing. That’s half of what I was looking forward to. It only listed local the last time it was up. It’s a real missed opportunity. Online leaderboards just don’t cut it, especially when they always get hacked. I’m curious to know, but what do you play Generations on? PS3, 360, or PC? Xbox.com is still displaying the old pic with the PlayStation button in the upper right corner for me. Weird. It would be nice if they’d at least add some sort of bot option to the 2P Battle mode if they’re not gonna bother with online. Such a shame, because this game could be a really fantastic online title. That’s weird. It’s showing the screenshot with the circle button for me too :-S I don’t see why they would change it back to that one. 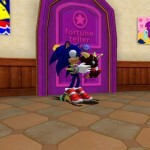 The chao picture makes me think sonic takes care for shadow’s chao. XD! But online chao trading, bot racing, TWO PLAYER CHAO GARDEN and trading from the sa1 port chaos would make this game head-explode worthy. Heck even add the costumes from the dreamcast for dlc FREE or atleast unlocking them by beating a number of people online. That would be even more awesome!!! The vs screenshot kind of hurts my eyes alittle. The main thing is because of Shadow on the right, where his ‘shadow’ is chopped up with the STOP on the ground. Was it always like that? It looks exactly the same as it did on the GameCube. LAZY! 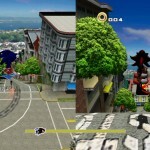 Not only that, but the 2P mode is clearly still using to much lower res models instead of the ones used in 1 player. Yet the special outfits will be better models like they were before. Can’t they just release it for the vita? Gotta say, game looks fantastic!